Let the casual nature of this Horizon Poly Rocker be your guide as you listen to the wind gently move through the trees with your loved one right beside you. Nothing is more relaxing than enjoying the beauty of Mother Nature from a comfortable and spacious seat that gently rocks away all your worries. The rocker is perfect for those who enjoy taking a nap outdoors. 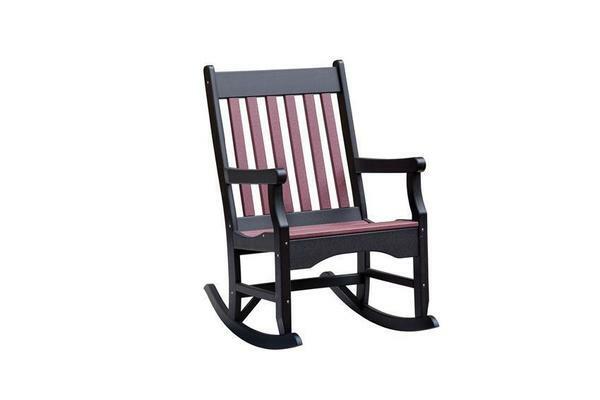 This poly rocker looks great on the front porch and comes in a wide range of poly colors, which allow for easy matching with the rest of your outdoor decor. We also have a beautiful Horizon Poly Bench to complete the look for your outdoor living space!